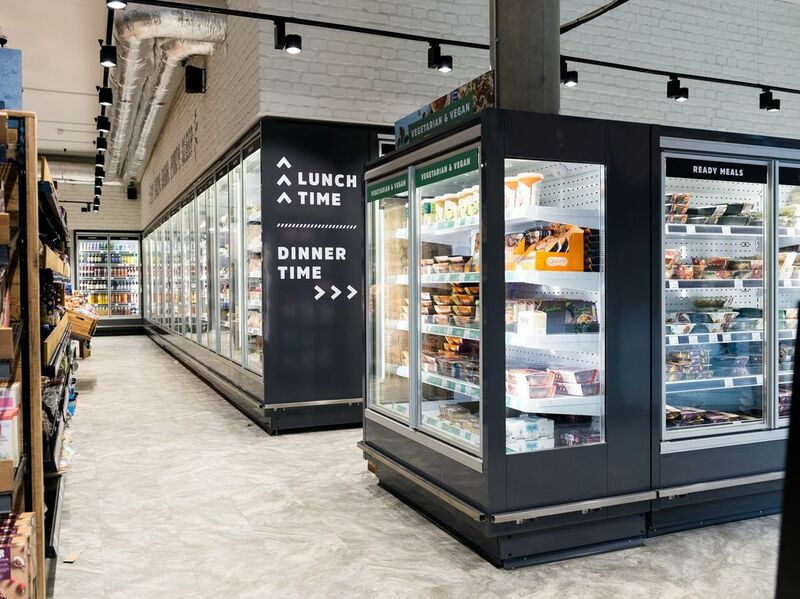 We were asked to tender for refrigerated display equipment and plant by Retail Design Solutions for this prestigious University student union at Royal Holloway University. A brand new building with a fantastic convenience store built on the University grounds for the students. High end design and a strong concept meant that they needed to work with suppliers who could help deliver this store to the best standards. The Kalifornia Ecovision range fitted the brief perfectly and we where also able to supply a mid height version to help vision across the store. We installed the Kalifornia Ecovision range of multidecks along with a mid height Kalifornia that featured one side with doors, one open with a head cabinet. All of the refrigeration is being run by a Daikin Zeas unit installed by our partner company - Byair limited. In fact Pastorfrigor GB Limited supplied the backup coldrooms, contracting and Daikin Zeas plant to this project as a turnkey package. The Union Shop is the one stop shop for all essentials while students are at Royal Holloway and its open every day of the week from 8am-11pm for convenience. 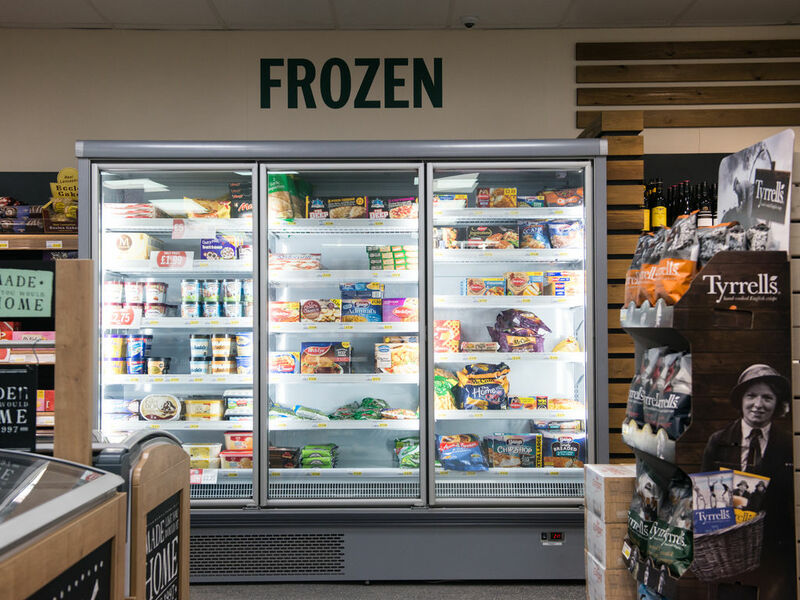 If students are looking for something to eat, they will find a wide range of groceries including chilled and frozen foods, sandwiches, drinks, wines and beers. They can also get a caffiene fix from the new Costa coffee machine. The Union Shop, as the name suggests, is managed by the Student's Union. Their focus is to offer gret value while putting money back into the student's pockets. This means there are no card charges and minimum spend so they are free to pay for shopping however they want. Solutions: Remote Pastorfrigor multidecks and full glass door, Pastorkalt spot merchandisers. The East of England Co-op purchased the former Budgens store in Hamlin Walk Woodbridge in September 2016. 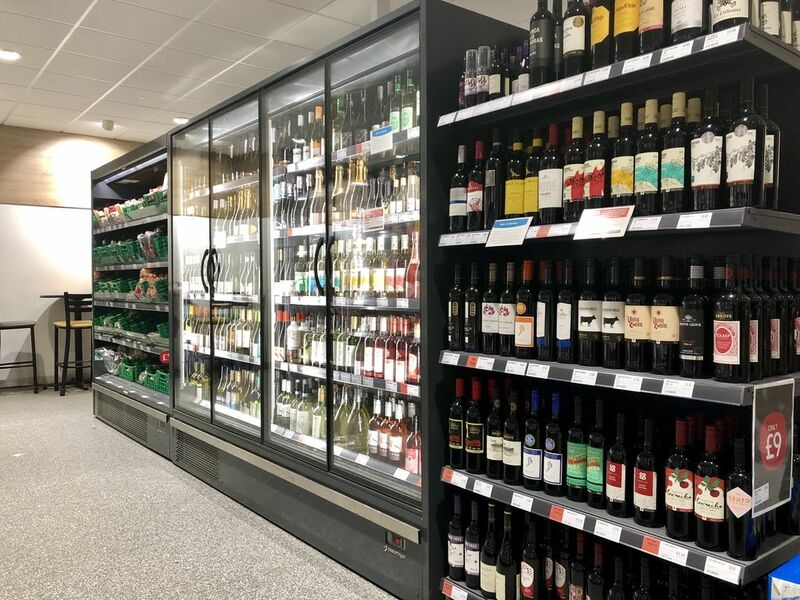 The 7,000sqft store will be one of the East of England Co-op’s new generation supermarkets stocking a wide range of its multi-award winning sourced locally produce, Deli-to-Go range, beers, wines and spirits and in-store bakery. Other services include an ATM, Subway, Collect + and home delivery. Customers also have access to free customer parking. The current Post Office will continue to provide a service to the local community from the store. 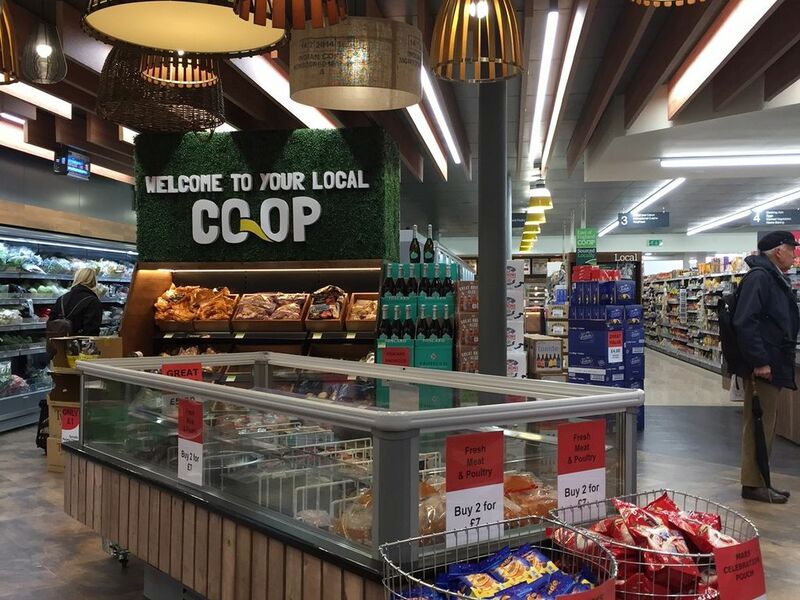 Given its long history of partnering with the Co-op, we were delighted to be awarded the contract to refit the refrigeration, especially since we had prior experience of fitting out the store when it was first built by Budgens and also all subsequent refits. 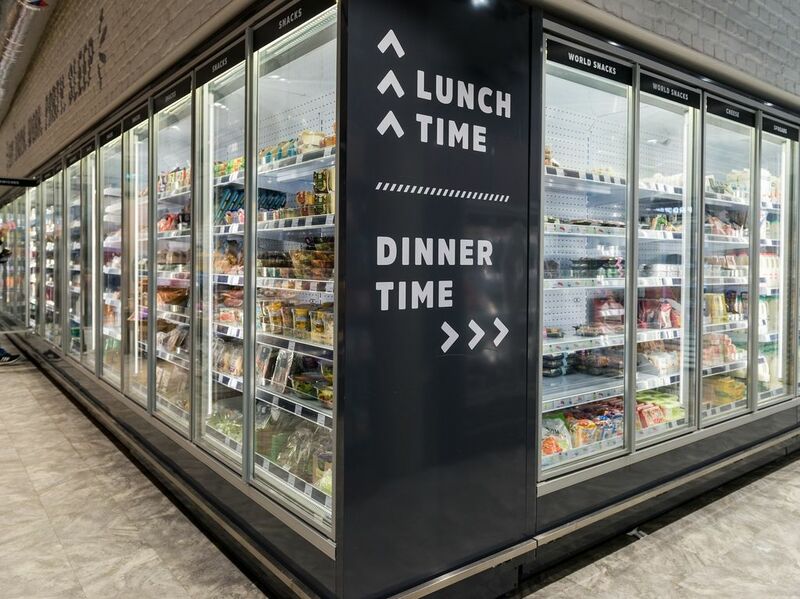 There was a lot of pressure on this project to ensure that we provided refrigeration that hit the high end design brief required for this flagship store so a lot of attention was given to cabinet profiles, colours and merchandising points of sale. 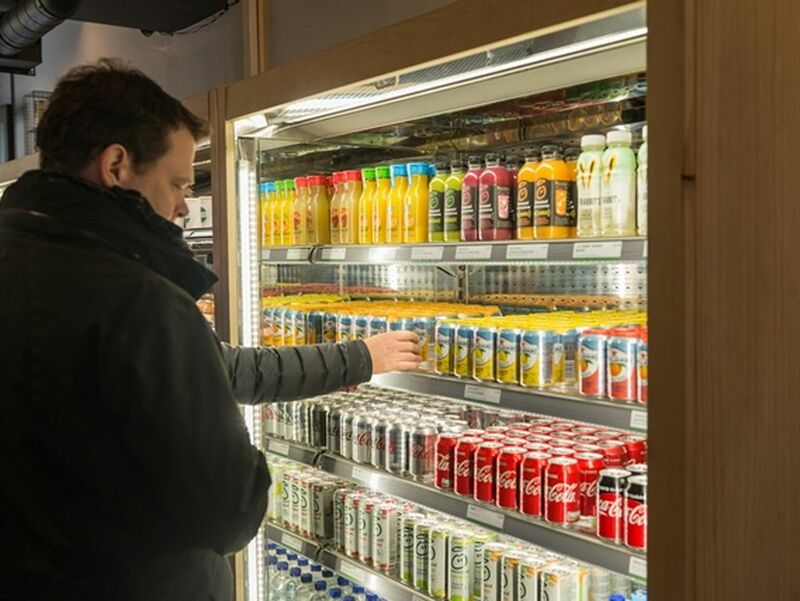 We also worked closely with Hartes, the provider of some of the special finishes for the kiosk area, to clad some dual temperature integral impulse cabinets at the front of the store. Pastorfrigor provided the Venezia P87 range of multidecks, some open with glass front risers and also with Cisaplast sliding doors, all featuring Philips LED lighting, EC fans and stainless steel bumpers. The frozen food cabinets were Pastorfrigor Torino and the spot merchandisers Pastorkalt Felix BT/TN cabinets with cladding from Hartes. Sewell on the Go are a multi-award winning independent forecourt operator in Hull. 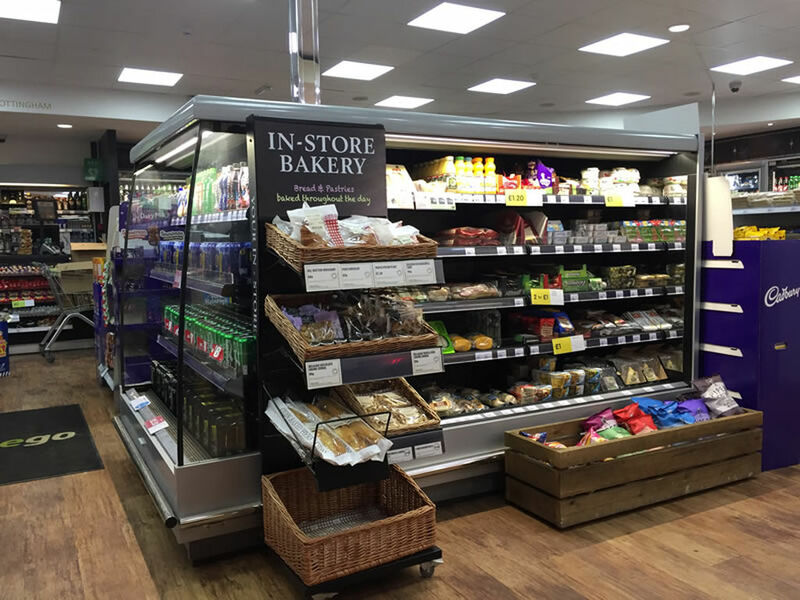 The Cottingham store was due a refit including replacing the refrigeration and re-configuring the store to accommodate a Subway and larger food to go area with extra Coffee machines. Pastorfrigor GB provided low energy Kalifornia Ecovision cabinets with a Daikin Zeas refrigerated unit on this site for a number of key reasons. 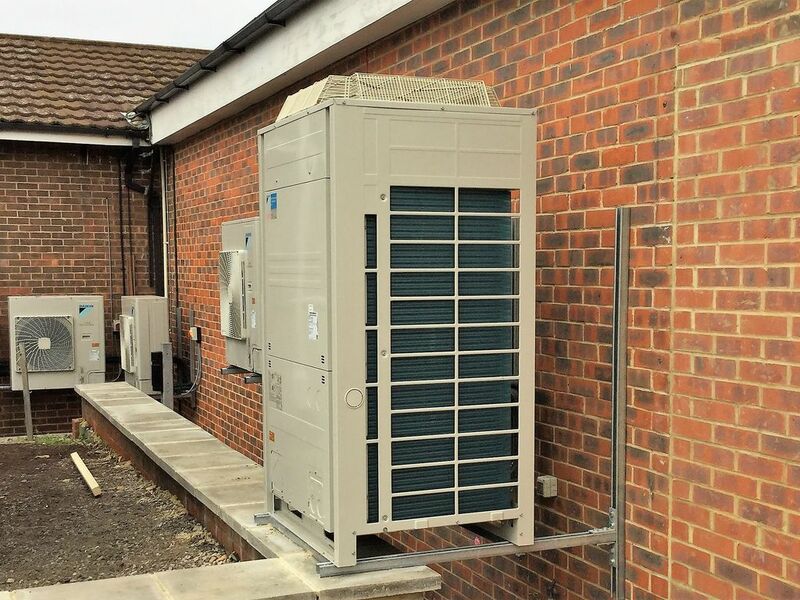 Firstly, in combination with the Daikin system the refrigeration package is very low energy, the store is in a built-up area so we managed to remove 5x condensing units and replaced them with just one which gained more space and reduced the noise level near the customer’s neighbour’s properties. Another key feature of the Kalifornia Ecovision H215 is the standard height reduction kit so we managed to get extra tall cases through a standard doorway. 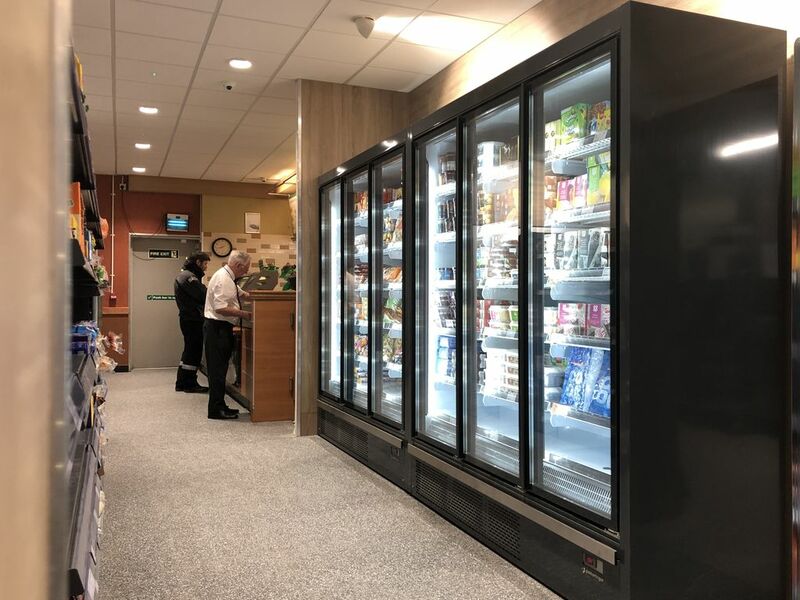 The collaboration between Pastorfrigor GB and Daikin UK provided the retailer with a system that reduced the energy bills by 60% by the time the Subway cold-rooms, ovens and additional coffee machines where installed Sewell Cottingham’s energy bill is still lower that before the refit. The rear yard now has more space for storage and the noise level as reduced from over 90db to 65db. We also managed to hand the site over 6 hours early so the retailer could start trading earlier than expected. The owners of Panetto contacted us to fit out their first store in Tower Hill with new display equipment. 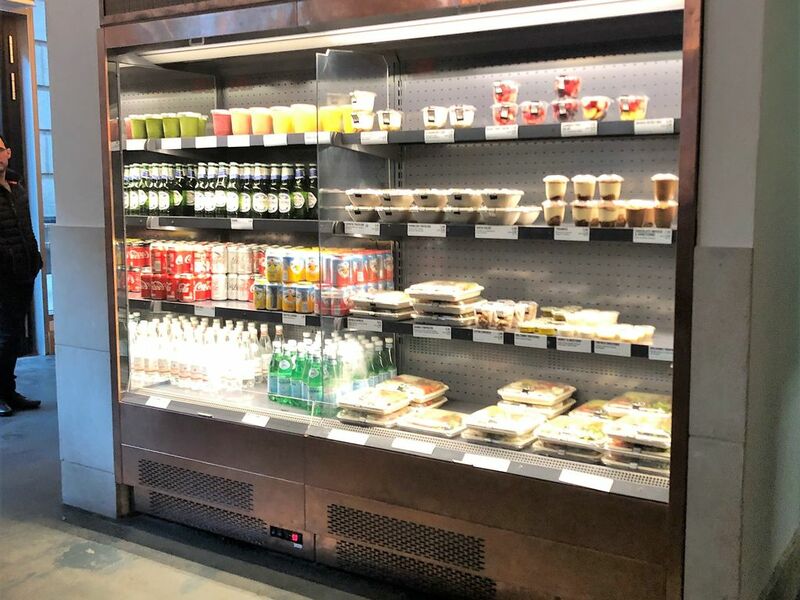 Our extensive range of food to go chilled and heated display cabinets along with counters meant that we are the perfect partner for Panetto's launch in the UK. Pastorfrigor installed the Filip 450 AK 3M2 and heated display from our partner company. 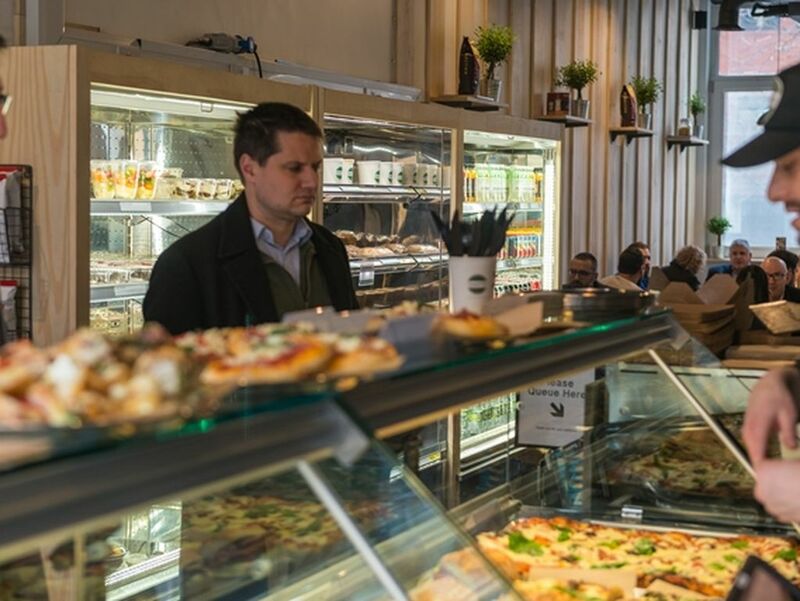 The Panetto store in Tower Bridge looks fantastic and certainly gets very busy with a high demand for the fresh Italian products. Goran is a fourth generation family retailer, who redeveloped his site into a 3,000sqft Budgens store in November 2017. After Budgens recommended PFGB, Goran decided to get in touch. “Our chiller space had quadrupled in size so we were nervous of our energy consumption – this was something I had been monitoring carefully for two years,” says Goran. “But Simon and the team at PFGB assured me that there would be energy savings. 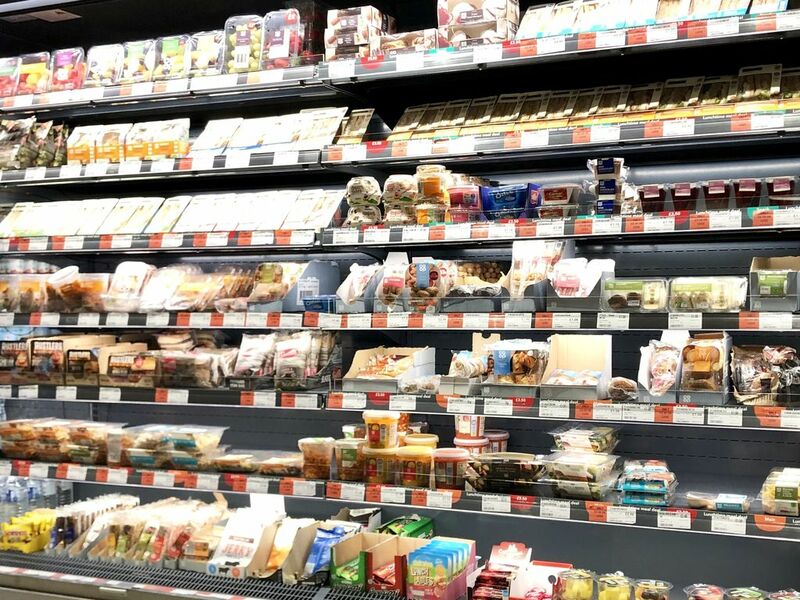 Remarkably, in spite of increasing their refrigeration by 120%, Goran’s energy costs are now a staggering 30% less – marking a £480 a month saving! “When investing in developing your store, you need to be really savvy and understand the payback time on any development,” he says. “We’ve felt that by working with PFGB that they have provided us with all the information we needed to make the right decision.” And would Goran recommend PFGB to other retailers? “I would highly recommend them. We had no problems with installation, and everything has worked.” His shoppers love the changes, too: “The feedback from customers has been really positive. They love it – especially as the store is no longer cold!”. 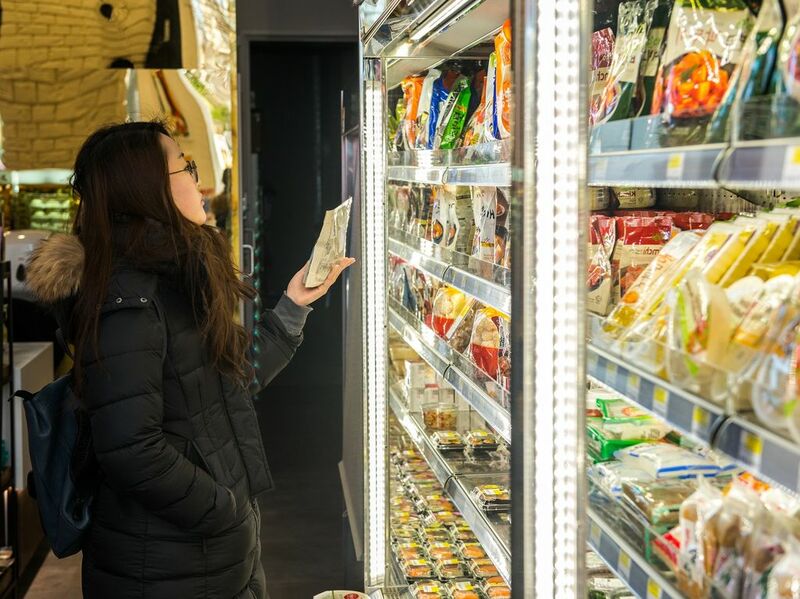 H Mart are opening "Food to Go" stores in London under the "Oseyo" brand and provide Korean food on the go. The rise in popularity of Korean food and culture can be attributed to the ‘hallyu’ translated Korean wave. As South Korea became a more wealthy country, many of the Korean dramas and Korean pop music became popular overseas. Now these dramas and Kpop videos rake in millions of views on social media such as YouTube, as well as the many Korean crocking channels such as Maangchi who has 1.67 million subscribers on YouTube. We have experience of this buzz of excitement for the culture and food at our stores and wish to expand and fill these interests. 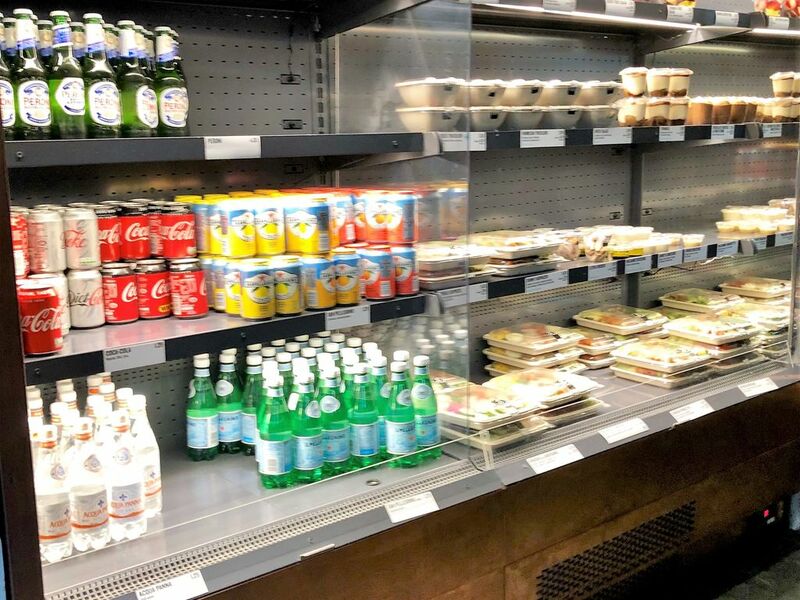 Filip 450 AK stainless steel integral multidecks with LED lighting, acrylic shelves and crisp baskets. These cabinets feature a polished Stainless Steel finish which really lifts the look and feel of the equipment. In May we plan to add a Stainless Steel Genova BT 2 Door to the store that will match the existing chilled equipment. Korean food in the last couple of years has become incredibly popular with a surge in demand for Korean food and products. It is well known that Korean food which consists of many vegetables are healthy, which is why Koreans also have a long life expectancy. This has led to an increased interest in Korean food also. 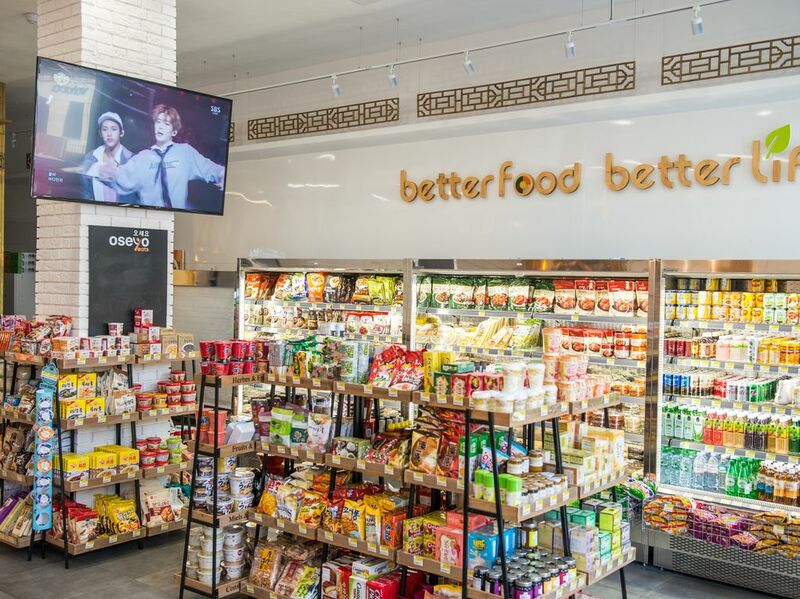 At this store, they sell everything from ingredients for Korean BBQ, soy sauces, Korean miso pastes to quick snacks and goodies for students. Pastorfrigor look forward to a long and healthy relationship with Oseyo sharing the passion for great store design and fantastic products. Amarjit took over this store in Tottenham Court Road, New Oxford street late 2017 and had been looking for some time for a refrigeration solution. To often he said retailer in London install remote plant but rarely get it serviced as it takes too much effort to organise with the landlords to get consent to access it. "Out of site, our of mind" is what he said so they only react when the equipment fails - which means loss of trade and very big repair bills. GRC Shopfitting carried out the shop fit and they suggested the Pastorfrigor solution so Amarjit came up to the Pastorfrigor showroom in Essex to take a look. 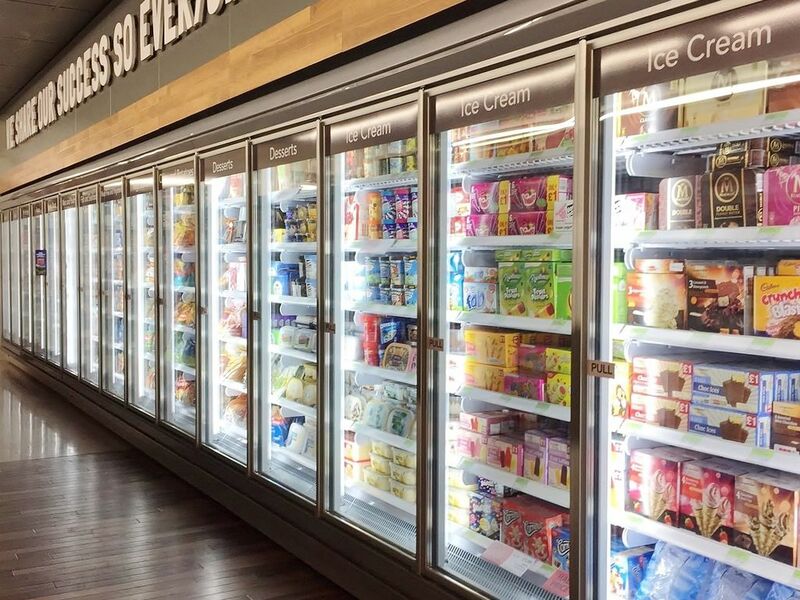 We installed three Genova Panorama MC 2500 cases for BWS, Dairy and chilled snacks. 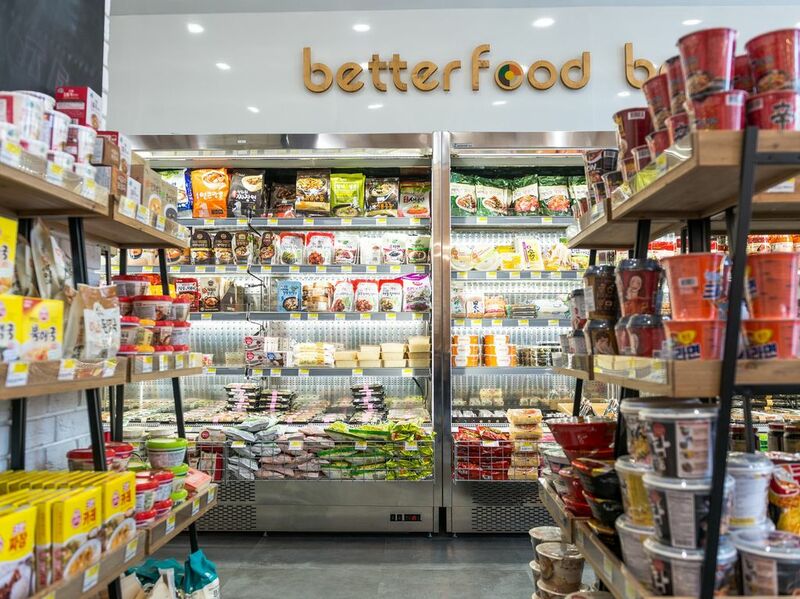 The installation took just a few hours and the cabinets where up and running within hours so Amarjit could open his store sooner. 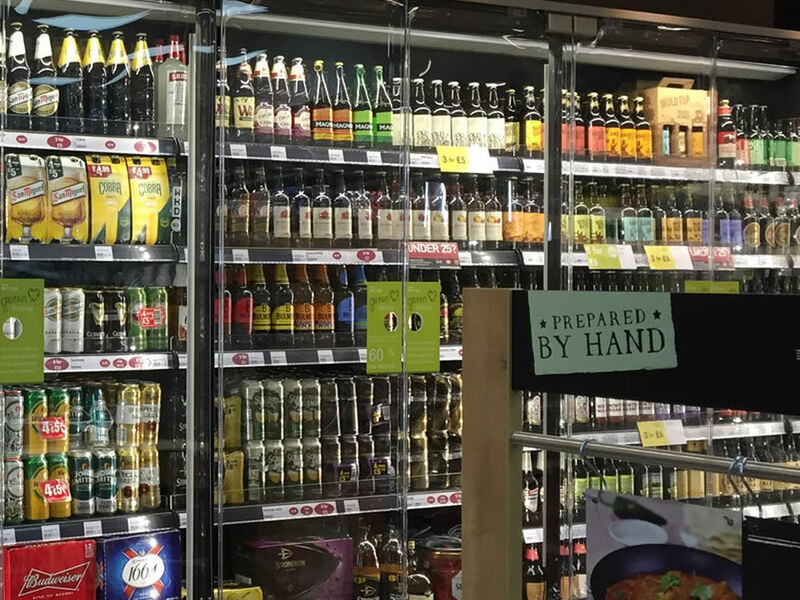 To get his alcohol licence Amarjit required locks for the doors on his beers and wines cabinet along with a blind to inform customers that the section was closed, Pastorfrigor developed a solution for that and in addition have returned to supply a similar solution for the spirits section for him. The result is a really lovely Central London Convenience store, right by a bus stop this store gets incredibly busy and its not surprising when you look at the great finish in the store. On entering the shop there are 2x 2500 cases on the right and you cannot hear them running (just 52 dBa) the glass doors with vertical LED lighting illuminate the product brilliantly further enhancing sales. Amarjit has said he would welcome any retailers in the London area to come over and take a look as seeing really is believing when it comes to the Genova Panorama MC cabinet. The perfect solution for your store!! The Select Convenience store in Huddersfield Bus Station is run and owned by Jonathan James of JCR Limited. 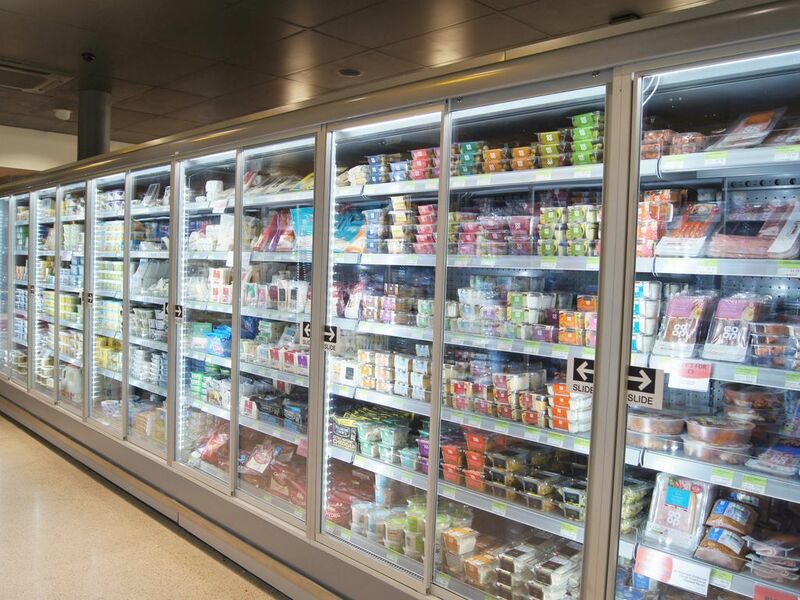 This store was due a refit and 5m of chilled dairy, drinks an snacks where required for this very busy store. Standard integral cabinet were simply not the solution as with such high footfall capacity and display area where key. With little chance of getting a remote solution in store the Genova Panorama MC cabinet looked to be the ideal solution. 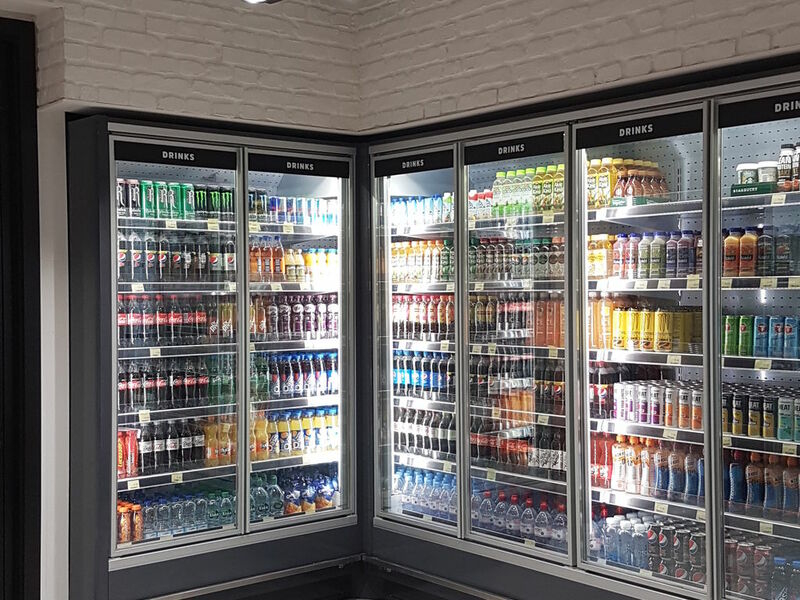 Pastorfrigor installed two Genova Panorama MC 2500 cases at H2160 multiplexed into a single run for chilled drinks, snacks and dairy products. The Genova Panorama MC is 48% more efficient that a standard glass door integral multidecks and up to 20% more efficient than a glass door remote case! 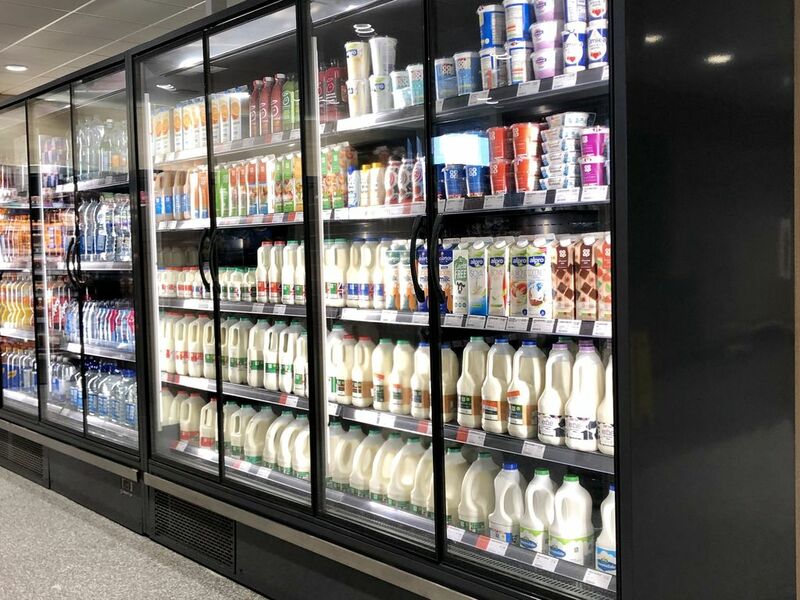 The installation took just a few hours so the shop fitter GRC Limited where able to complete the refit and get the store open to start trading. When you walk into this store the thing that surprises us still is that you cannot hear the cabinets running, we know the cabinets are plug-in but there is no running noise. We measured a background noise of 59Dba in the store and the cases run at 52Dba which is important in such a small store. No need to worry about the heat that comes from the cabinet either, these cases have nearly half the heat rejection that you would expect to get from a standard plug in cabinet. 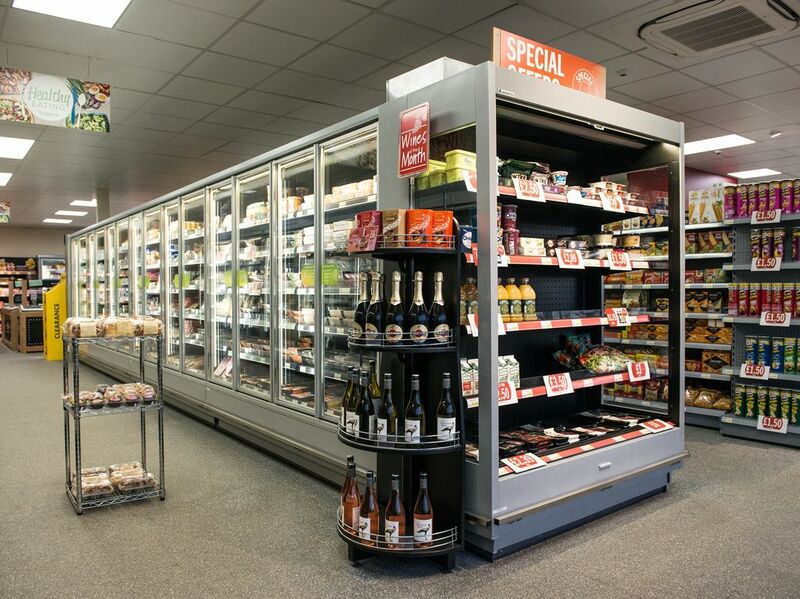 So if you have a challenging store, need to keep your store closure to a minimum and want to reduce your energy bills - choose the Genova Panorama as its the only solution!! Features: Copper external panels, magnetic ticket holders, warm white LED. Scarpetta bring authentic Italian Pasta traditions to the heart of London. Sharing their passion and love for such genuine products are the vital constituents that have driven the foundation of Scarpetta. Scarpetta itself represents a moment of joy. It is how Italians define the gesture of taking a piece of bread and wiping your plate clean to enjoy every last drop of sauce on your plate. It simply represents how Italians enjoy every moment in life and pasta is no doubt one of its greatest pleasures! Scarpetta where looking for a very specific multideck for their latest restaurant at Bishopsgate Tower 42. 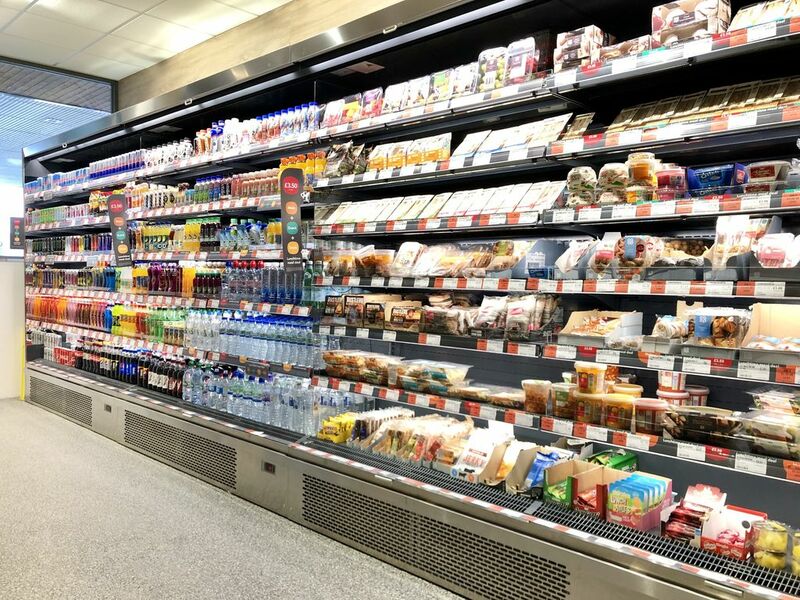 The brief was to supply an integral grab and go multideck made out of Copper – specifically without a lacquer so that the Copper could age naturally. After discussions and exploring paint finish options Pastorfrigor GB manufactured the Filip 400 integral multideck with dark grey internal panels, warm white LED lighting, special ticket holders for a magnetic Epos edging and copper external panels. The end result is essentially a standard piece of equipment that looks amazing through clever local design and fabrication to achieve a really high-end and individual finish. It is the essence of what Pastorfrigor GB always strive to achieve by avoiding the “Bespoke Cabinet” approach we manage to keep the costs down and provide our customers with tried and tested refrigerated equipment using industry standard parts for a more gainful cost of ownership. Savings: Up to 47% energy efficiency, reduced refit time and lower install costs. George Hammond PLC entered into petrol retailing in 1972 and are now established as one of the leading retailers in the South East of England. Their 7 BP branded retail sites in Kent offer a wide range of forecourt services including convenience stores, carwash and ATM services. The George Hammond Group where looking carefully at selecting the right equipment for 6 of their sites that were ready for re-fits. 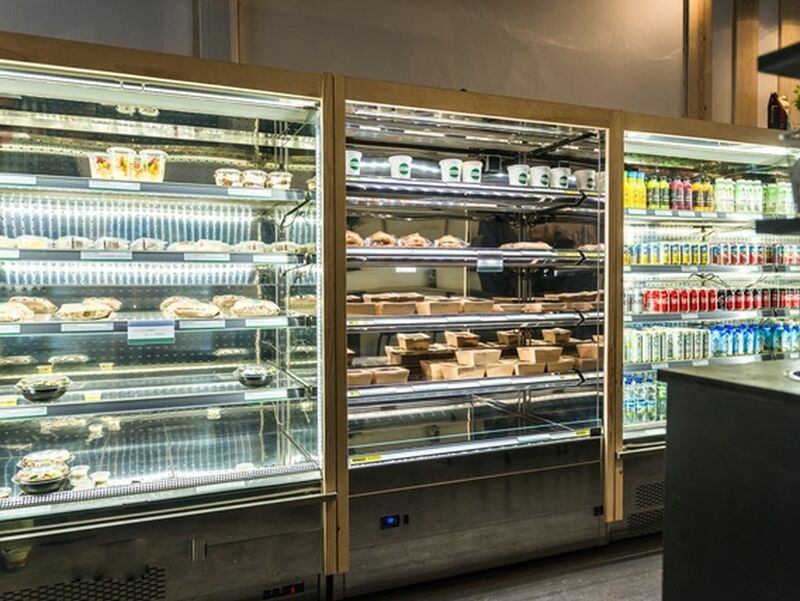 John Ryland spend some considerable time looking at what was available in the market to install into these sites with an emphasis on energy efficiency and future proof refrigeration. With the current phase down of HFC’s John was impressed with the figures presented by Pastorfrigor GB by using the innovative integral Genova Concept range utilizing Micro channel technology on the natural refrigerant R290 with a GWP of just 3. Pastorfrigor GB where able to strip the store of existing remote equipment and install some of the new integrals so that the extensive shopfitting works could be completed while the busy store continued to trade returning at a later date to re-position these cases with the final delivery of equipment into their final locations. 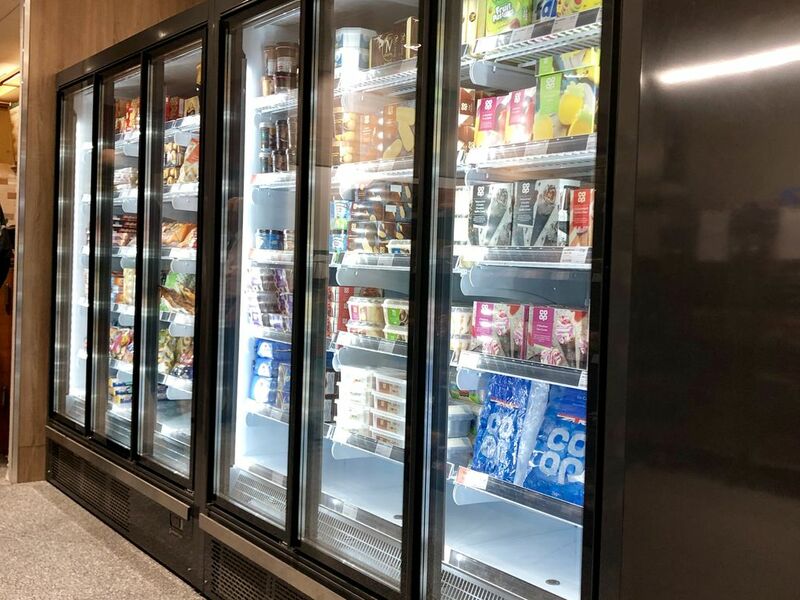 The finished store looks fantastic and the refrigeration is producing very little heat and noise thanks to the new Pastorfrigor technology. The next site in Three Elm Cross was installed in February with a roll-out across the remaining stores throughout 2019.